In 1931, George Beauchamp combined a guitar with a microphone to create the first electric guitar called the “Frying Pan.” Without it, we wouldn’t have rock-and-roll, country and blues. This is how transitions begin, with a prototype that catapults transition to a new way of doing things. Isn’t it time to start doing the same thing with Lean Six Sigma? Not amplification, but acceleration? Continue Reading "Agile Electric Guitar Development"
Continue Reading "Agile Scaling Up In Corporations"
Continue Reading "Agile Process Innovation"
DMAIC is similar to software’s Waterfall methodology that has been replaced by Agile. We can do the same thing with DMAIC. Here’s how. Continue Reading "DMAIC from Waterfall to Agile"
Most movies follow a standard arc of discovery and transformation. Continue Reading "The Quality Hero’s Journey"
Posted by Jay Arthur in Improvement Insights, Jay Arthur Blog, QI Macros, Six Sigma. 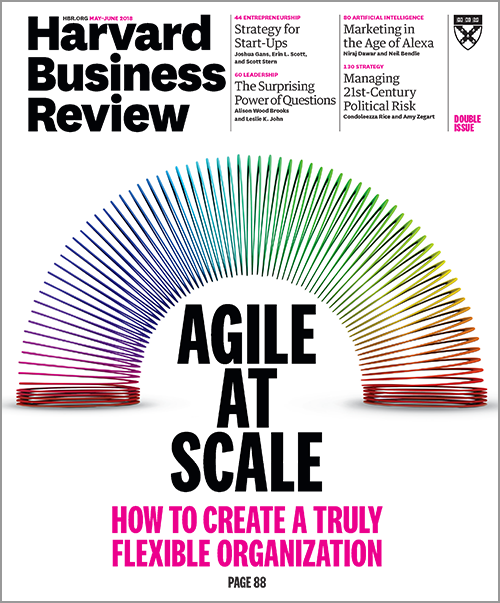 The cover of the May-June 2018 issue of Harvard Business Review highlights “Agile” as the future of business. This is the way business is going to stay competitive in the future. Speed is the killer app! Continue Reading "Agile Lean Six Sigma"
Are you making one of the most common mistakes in Six Sigma? Are you forgetting the control phase? If you do forget to implement a control plan and control charts to monitor and corrective actions, you might just as well have not wasted everyone’s time. Join my Agile Quality Improvement Movement. Sign up to receive Weekly Agile Six Sigma emails right in your inbox! Click HERE to subscribe. Continue Reading "Forgetting The Control Phase?" Going In and Out of Lean Six Sigma? Do you know people who only dabble in Lean Six Sigma? They get in, get certified and get out? You can use the tools of quality everywhere in your life and work for the rest of your life. Continue Reading "Going In and Out of Lean Six Sigma?" Posted by Jay Arthur in Improvement Insights, Jay Arthur Blog, Lean, QI Macros, Six Sigma. Is Cognitive Dissonance Stopping Your Six Sigma Projects? Continue Reading "Is Cognitive Dissonance Stopping Your Six Sigma Projects?" Is QI Macros® Competing with Minitab®? Maybe on one level or another, but we’re both competing with the 1,000 pound gorilla in the room. You probably know who it is, but here’s my take on it. Continue Reading "Is QI Macros® Competing with Minitab®?" Posted by Jay Arthur in Improvement Insights, Jay Arthur Blog, QI Macros.